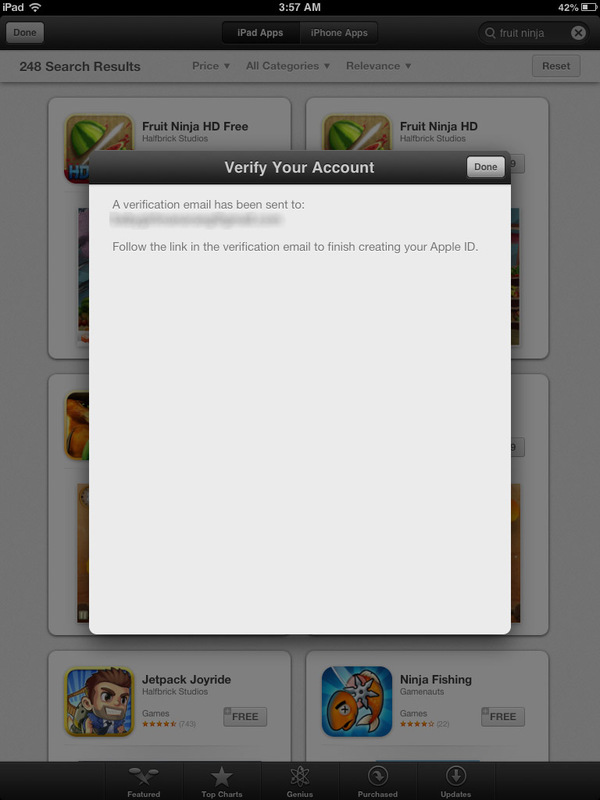 Today I'm gonna show to you how to make iTunes account without using Credit Card. This tutorial are for first time users of Apple products. Follow the steps below for this tutorial. Open your App Store and search any free application. For this tutorial I choose fruit ninja to download. There will two options that will pop up, choose "Create New Apple ID" and complete the required fields to be filled up. This is the important part in the billing information choose "NONE" just fill up the remaining fields below and you're finished! You have a iTunes account.